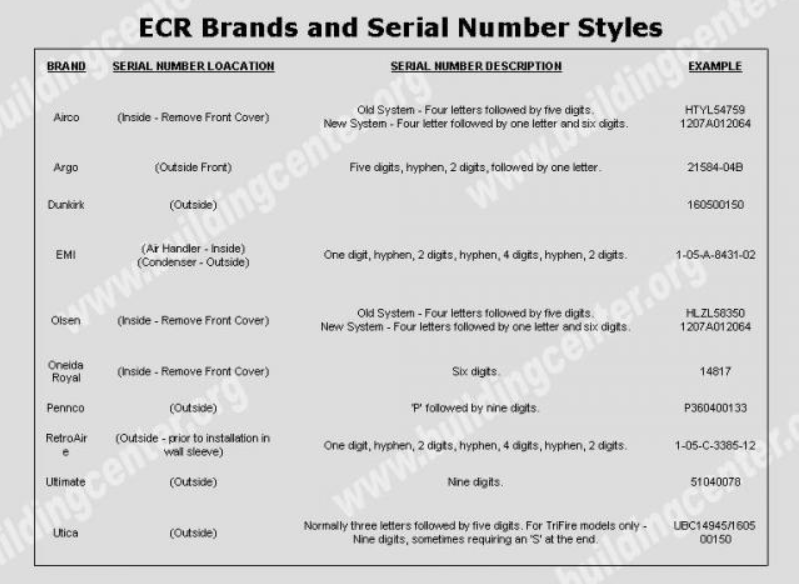 How to determine the date of production/manufacture or age of Enviromaster® HVAC Systems. The date of production/manufacture or age of Enviromaster® HVAC equipment can be determined from the serial number located on the data plate. Description: Fourteen (14) character Serial number (includes dashes) begins with one (1) numerical digits – dash – two (2) numerical digits – dash – one (1) letter – dash – four (4) numerical digits – dash – and ends with two (2) numerical digits.